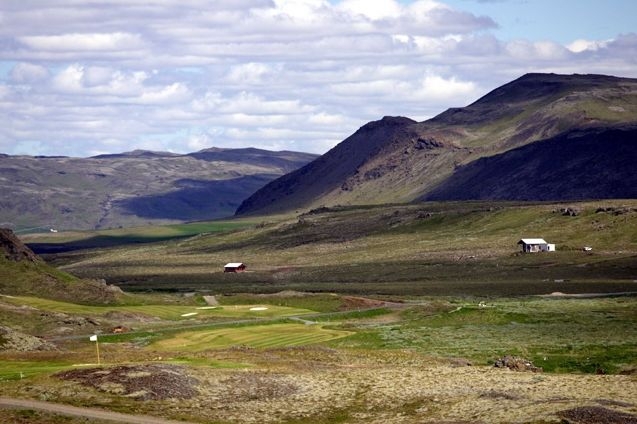 Situated approximately one hour south of Reyjkavik, the picturesque site of Kidjaberg golf course offers magnificent scenery to its golfers. 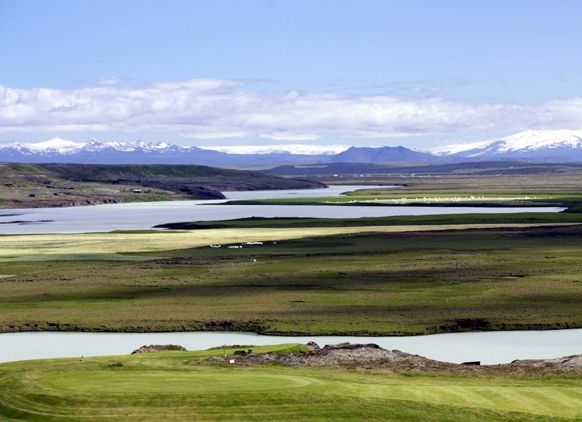 The course is sandwiched between the river Hvitá (the white river) and lake Hestvatn, which provides the site with glorious views in both directions. 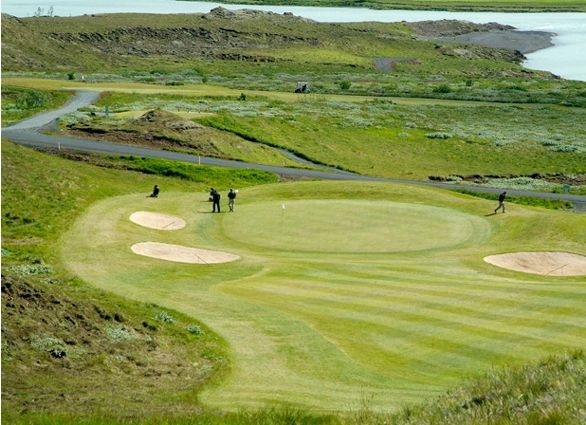 The course is a relatively new addition to Iceland's golfing scene, having opened in 1993 as a nine-hole course; a further nine holes were added in 2005. 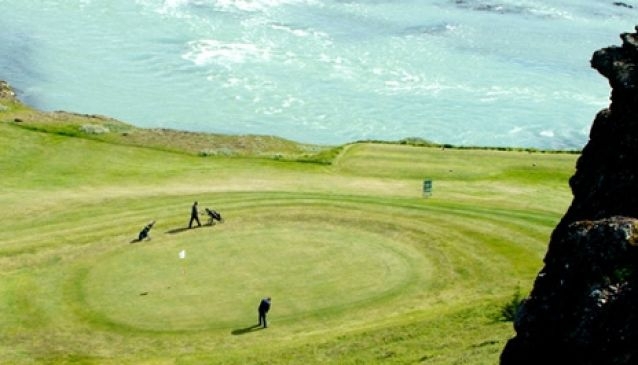 It is suitable for both high and low handicappers, due to its moderate length and exposed putting greens. 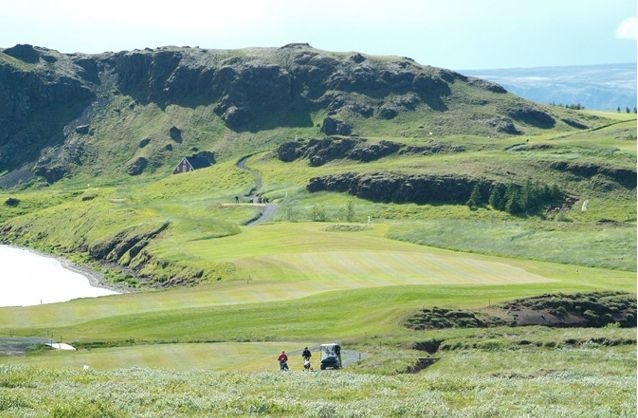 At the site you'll also find a five-hole par three course, as well as a clubhouse and a restaurant, which is open from 8am - 10pm.